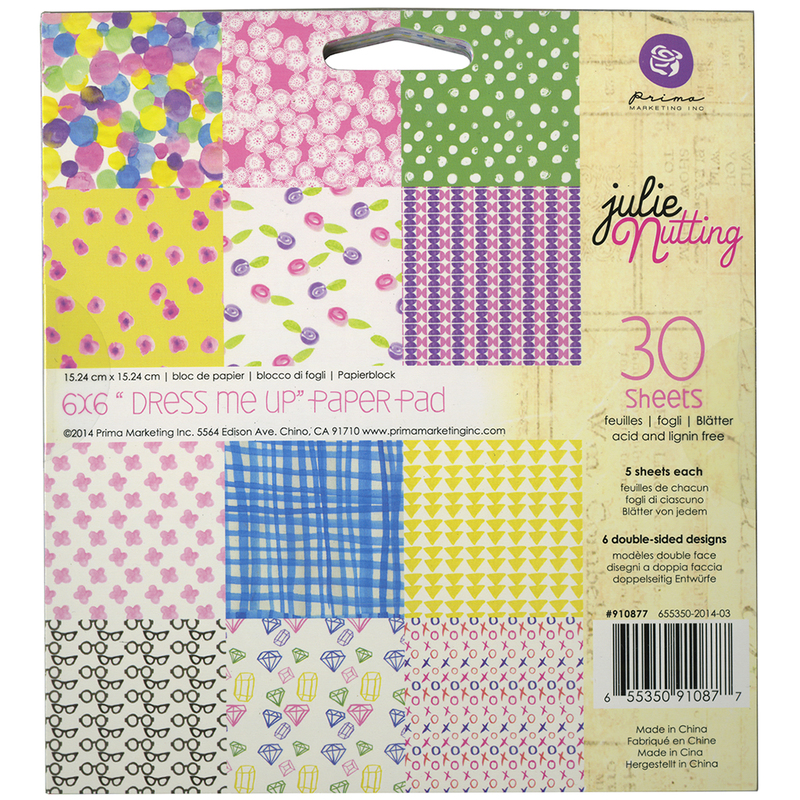 Prima Marketing-Julie Nutting Double Sided Paper Pad: Kaleidoscope. A wonderful addition to all your paper crafting projects! This package contains one 6x6 inch pad with thirty double-sided sheets in six different designs (five sheets of each). Acid and lignin free. Imported.